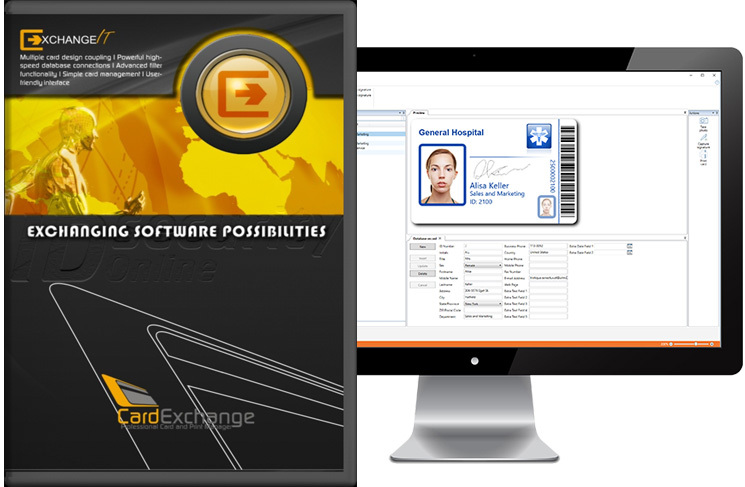 Card Exchange from ExchangeIT makes it easy to create, encode, and issue professional ID cards. Choose from a wide array of preloaded templates and customize your cards by simply dragging the fields that you need to your cards. Ultimate: fully-featured software that includes contactless encoding standards like MIFARE® Classic and DESFire EV1.